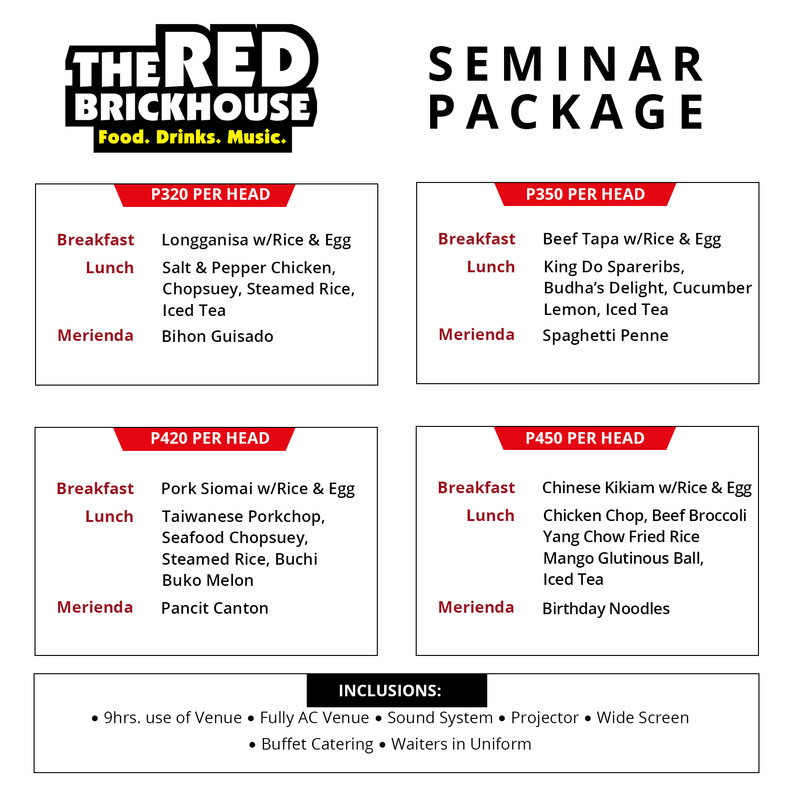 An affordable seminar venue located in the heart of manila. No need to travel far for a good, quiet and secured place plus mouth watering food from our partner Gloria Maris Deli & Restaurants. 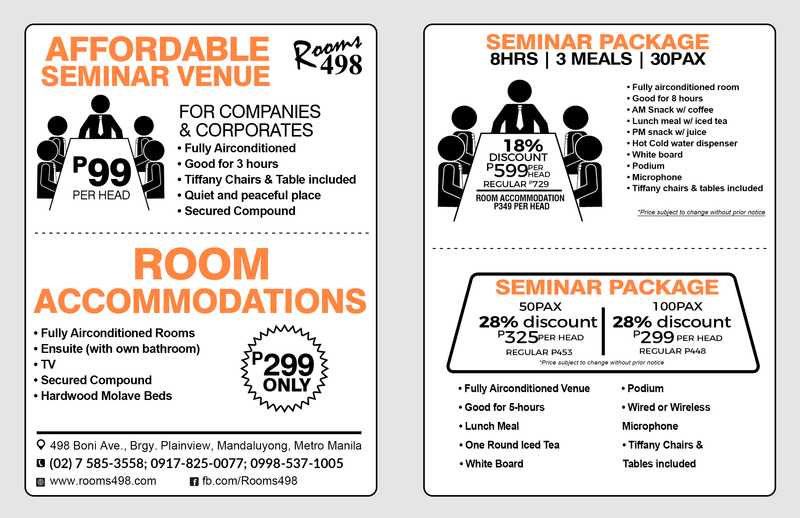 only here at Rooms498 just few minutes away from Mrt boni station. Book now!